My mind has been all over the place the past couple days. Every decision has been tough and second guessed. The route isn’t as clear as I thought and I haven’t really seen much, but I am further south. I headed to Cochabamaba, the first step in my master plan. There, I found my cheapest room yet ($2.15) and a great Chinese food cart. Night #1, I had the beef stir-fry with noodles, eaten with chopsticks. Night #2, I had to go back for the Pollo Agridulce (sweet-n-sour chicken). I have been craving small pieces of breaded chicken covered in a tangy sauce the whole trip, and finally found them. The highlight of my 2 days there. I did make one attempt at seeing a museum, but the price was higher than I thought and you needed to take a tour later in the day. So, I walked out. The rest of my time there was spent sampling the new street food and shopping for things I kinda need. 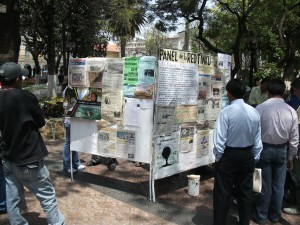 There was also an interesting display in the main plaza, filled with highlighted newspaper clippings apparently telling a tale of political corruption. Small groups had lively conversations and the cops let them be. Thursday morning I walked to the bus station: My next destination was going to be Santa Cruz, a large city on the edge of the jungle, but I wavered. I try to plan my routes in a logical manner to avoid backtracking, and to take in some great scenery with day bus trips. Upon further reading, Santa Cruz didn’t seem all that interesting and getting away would have required a 14 hr night bus ride. I changed my destination to Sucre, a beautiful city in a logical southern direction. But, all buses turned out to be night routes and I proceeded to plan C.
Arriving in the palindrome mining town of Oruro, 4 hrs in the western direction, figured to set me on the right path. Based on the maps in my guidebook, the main road looked to take me right into Sucre. The town is surrounded by barren landscape and heavily mined hills, but is primarily known for being the beginning (or end) of the railroad line. It sees tourists, but very few stick around. I chose a cheap place by the bus terminal and spent the afternoon strolling the market streets, happy to find another cart serving “malt shakes”. The next morning, I once more wandered into a bus station with an open mind. My first option was Sucre, but again the only transport there traveled at night and was relatively expensive. So, I proceeded to plan D.
The highest city in the world, Potosi, sits at 4,060 meters above sea level and is not flat. Deeper in the heart of mining country, hills filled with silver required slaves and brought wealth. I figured it would be a good place to pause for a few days and contemplate my last 7 weeks. My stay began with another instance of an outdated guidebook book. 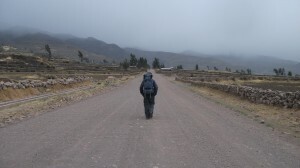 I figured I could walk the 1.5k to the hostals, but with a brand new terminal farther outside of town, the walk became an hour long trek uphill, navigating the highest city streets in the world. Old ladies tried to warn me saying “muy lejos”, but I ignored them because I actually enjoyed it. In the heart of town, I struggled to find accommodations in the price range I had grown accustomed to. The cheapest Lonely Planet place is now 10 times more expensive and the local cheapies were full due to yet another festival. I regressed to an LP place for just over $4 a night mostly because of the weakening of my legs. One benefit of the more expensive digs; I could take my first shower in 4 days. Remember last blog where I said that I am now immune to marching bands? Well, that has changed, I am now partly annoyed by them. Playing a block away from my digs until at least 1 am, they did not allow me to get the deep sleep I so greatly desired. Earlier though, it was fun to walk the trash and people filled main drag, most of them just sitting around waiting for the next pass by the brass. Current: I bargained my room price down for 2 more nights and feel a little better about my current traveling status. Passing through the “aimless wanderer” phase to hopefully now a “man with a plan”. 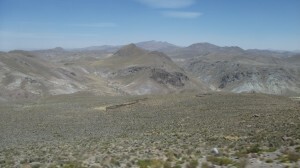 I found a nice vista with views of the barren countryside and booked a mine tour for Monday. 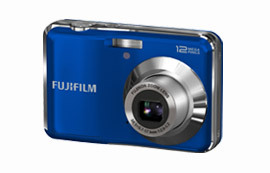 I think it will help get me back into tourist mode, it will plug me into an English speaking group for a day, the price really isn’t that bad, and it could be dangerous. All things I need. Bolivia continues to be different and cheap. Just the other day I snapped my string of 9 straight days spending under $10. A 6 hr bus ride cost me less than $3 when in Colombia it would have been $18. Though during my last few days of boredom, I have turned to food for entertainment. Deciding that now is the time to try everything that catches my fancy no matter what the cost. Nothing really of note to describe, just some random snacks, peas, and types of bread. I am also continuing my 2-3 pack-a-day habit that I have tried to quit. I know what the doctors say, that it is bad for me and will shorten my life, but the stuff is so cheap down here I can’t help myself. Something about a different hemisphere makes you feel like you can do things that you don’t normally do at home. I still get my exercise to help counter balance the effects, but it will be tough to kick when I am back in the states. For now, I will continue to look for convenient stands after dinner, open a pack, and enjoy the taste of chocolate cookies. Una vez que golpea sus labios, es tan buena! La Paz: The city seems more real than any other large city I have been to. Sure it has a tourist street or 2, but mostly you are surrounded by stalls selling everyday home products and locals doing normal things. 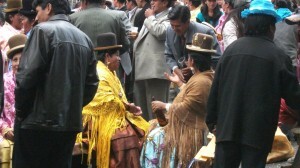 I think it helps that Bolivia has the largest indigenous population of any South American country (60%). You arrive via the flat altiplano (high plain) and then drop into the valley, an amazing setting 3,500 meters above sea level. Though the combination of steep streets and elevation wore me out, I was energized by the new sights and smells. It is every bit as cheap as I thought it would be. I found a nice dirty hostal for 20 bolivianos ($2.85) per night, a carne empanada (with an amazing assortment of sauces and coleslaw like toppings to choose from) is only 1.5 bs ($.21), set lunches for 7 bs ($1), and internet is a wonderful 2 bs ($.29) per hour. I made longer lasting purchases as well: a new beanie and some water purification pills. (I should have bought pills at the beginning of my trip but didn’t really think about it until I met Zed who uses them. I could have saved a lot of money. Now I have way more than I will use, so if anyone needs any, i’ve got some.) There also seems to be a festival everyday and I have become immune to the sound of marching bands. But, as with all big cities, 4 days was enough and I had to get out of town. The constant weaving through traffic (human and motorized) gets to me, as well as the temptation of casinos. So, last Tuesday I headed north to Lake Titicaca, searching for some peace. 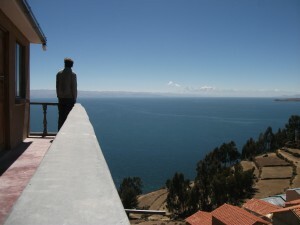 Copacabana: On the southern shore of the lake, the city is the main jump-off point for trips to Isla del Sol. Filled with travel agencies and trendy cafes that are easy to avoid, plus hostals are everywhere and cheap, I had found a place to rest. This time my $2.84/night accommodations were very clean and included a rooftop terrace with great views. The market served lake trout and some delightful carne variations, plus there were street stalls providing dinner and snacks. I spent 2 nights there, studying Spanish and taking pictures of sunsets, before loading up 2 days worth of stuff into a day pack and catching a boat to “Sun Island”. 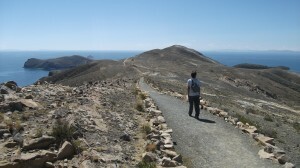 Cha’llapampa: On the northern part of the island, Cha is the traditional starting spot for day hikes along the spine. I chose to book a cheap hostal in the village, drop some things off, and then hiked around trying to avoid the tour groups. I explored the northern section only all day (due to an odd ticket system), under perfectly clear skies that burn your skin and make your ears cold at the same time. I love the freedom to sit at the top of a vista and just stare at the water. 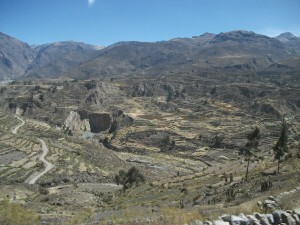 The area has a few important Inca ruins as well, as it is considered the birthplace of the Sun. I found some reasonably priced sandwiches in town for dinner and the next day woke up early to check out the southern sector. Yumani: After hiking along the coast and purchasing another ticket, I arrived in the biggest village on the Isla. Set on a ridge and containing more than 1 road, I was happy to find yet another room for $2.85/night. The views were amazing and I wonder if there is any place in the world with better scenery for the price. That day I hit the southern trails (or at least I thought) and checked out a ridge on the western side that gets very few visitors. Then made my way straight down some agricultural terracing, along a quiet bay, en-route back to town. 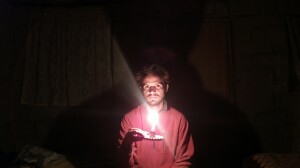 I did, unfortunately, let my camera drop a few times while setting up self portraits. It still works fine, it is just missing a small unimportant piece. That is why I don’t own nice things. Heading back into town, the only bad part of Isla del Sol came to the surface. They have a confusing and somewhat corrupt ticket system. When I passed under the sign saying “5 bs to enter” before, there was no one there and I freely walked. This time, a man asked for my ticket to enter the southern sector, I showed him the ticket I had bought earlier in the day, but it was no good. Let me try to quickly explain: Apparently they have 3 tickets; one for the far north (I bought that the day before for 10 bs), one for the grande north (about 2/3 of the island, which it turns out I purchased this day for 15bs), and one for the south (5 bs). The ticket takers who sold me the grande, tried not to give me any change or a ticket but I requested both nicely. They probably thought they were making me pay for the north as I was entering the south, thus I was stupid and wouldn’t need any paper. But I returned and fully utilized the space. Later, I was even warned by a Spanish guy I had met the day before, who said that he was going to call the tourist police on the same gate keepers because they tried to make him pay extra. With that all said, back in the present, I am confronted with a man wanting money to enter the village where I already had a hostal. I decided to lie and say that all of my money was in my room and that I had already passed this gate 2 times today without issue. After some time of looking lost and confused, I considered hiking back a ways and then around the gate, but the man finally let me pass. Do I feel bad about lying to an old man just to get out of paying $.71? … Nope. I feel that I already overpaid with 2 north tickets and that their system has flaws. I am fine with paying to hike around their paradise to see ruins, the trail is very well maintained, I just feel they should have a 1 or even 2 ticket system and explain it better to tourists. The current system forces the more common day trippers pay 3 times for a total of 30 bs ($4.29). Sorry for going off on a rant. The day ended with a cool sunset and some lake trout for dinner. Early in the morning, I saw the sun rise over the mountains from my hostal and caught a boat back to Copacabana, where I could finally change clothes. Copacabana: Two more nights were spent there, drinking coca tea and getting my fill from the market. Notably the peanut soup, that I wish was a little more nutty, and a malt and meringue foam shake that was surprisingly delicious. I spent 71 cents more a night to upgrade to a room with TV for possible football watching, with the only game shown being the Sunday night game. It was good to do nothing for a while in comfort and catch a few sitcoms and movies. Also, I got a chance to play a keyboard they had in the lobby and satisfy an itch. The only negative of the city is that internet is 8-10 bs/hr, or else I would move here and make a home. Monday morning I caught a kids parade before hopping on a bus heading south. La Paz: Back in the big city, my internet needs are being met I am checking out a few museums I missed before. Tomorrow, I head farther south, feeling the need to keep rolling and to fulfill the last of my tourist duties. I feel the end is near and that planning is more important than ever. The only real goal I have left is to fully explore “Salar de Uyuni”, the largest salt flat in the world. Then it will most likely be a series of buses taking me back to Bogota (Flights are $490 and bus tickets would total about $150). Each day I think more and more about my return, but hope I haven’t mentally reached my end. I like to believe I could travel longer, like many I have met, but also think that maybe they aren’t as close to their family and friends as I. Or maybe they are just more social on the road and that satisfies their need for companionship. Either way, in a little over 7 weeks, I will be home. Hasta pronto!